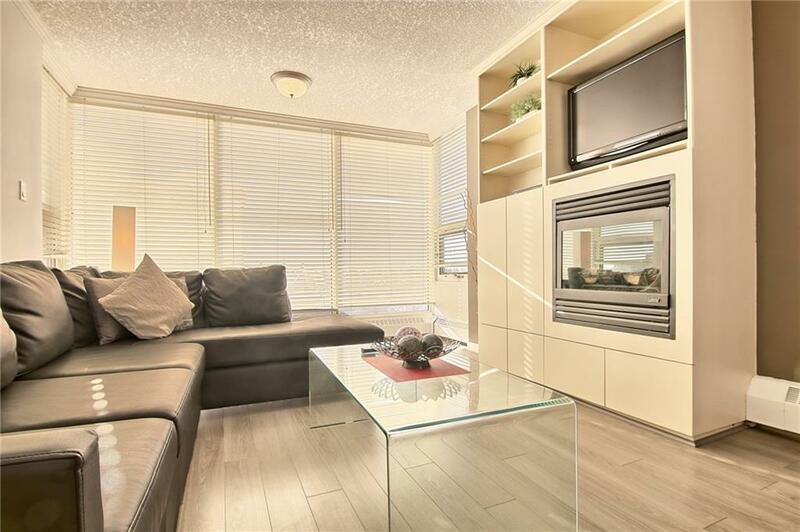 Your chance to live in exclusive Varsity Towers has arrived in this beautiful 2 bedroom / 1.5 bath condo offering the lock-up & leave lifestyle you've always wanted. 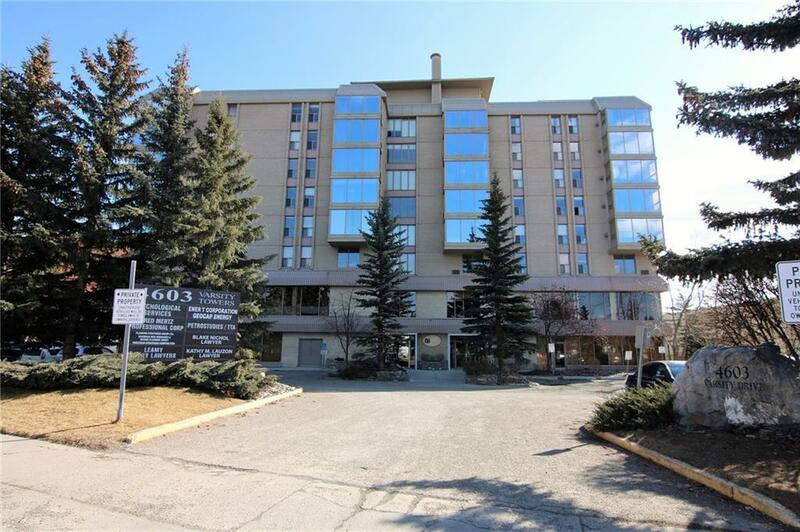 This upgraded 6th floor corner unit boasts laminate & tile floors, 2 parking stalls & wonderful views of Canada Olympic Park & the surrounding horizon. This fantastic home has open concept living/sunroom with air conditioning, fireplace with built-in cabinets & updated kitchen with granite counters. Both bedrooms have great closet space, handy insuite laundry, granite counters in both bathrooms & there is a jetted tub in the full bath. Two parking stalls - 1 underground & 1 outside. 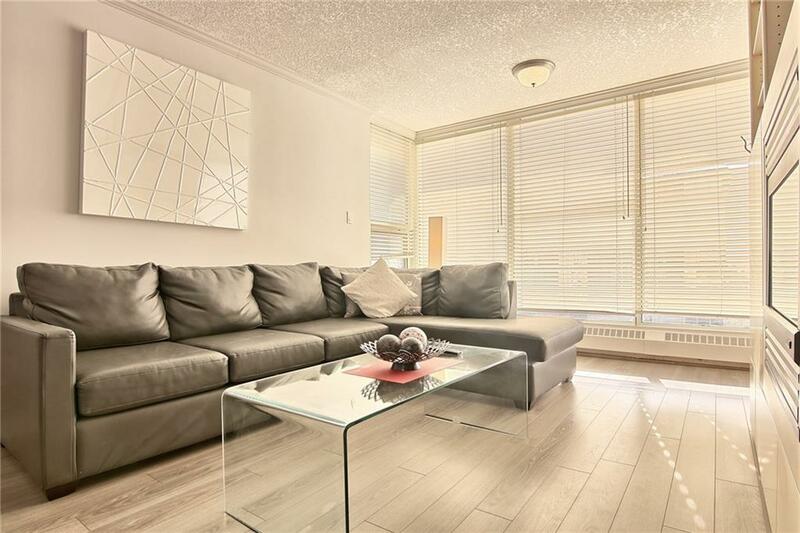 Monthly condo fees include electricity, heat & water-sewer plus access to top-notch amenities including indoor pool & fitness room, hot tub, library, residents lounge, car wash, rooftop terraces & courtyards with greenhouse & putting green. 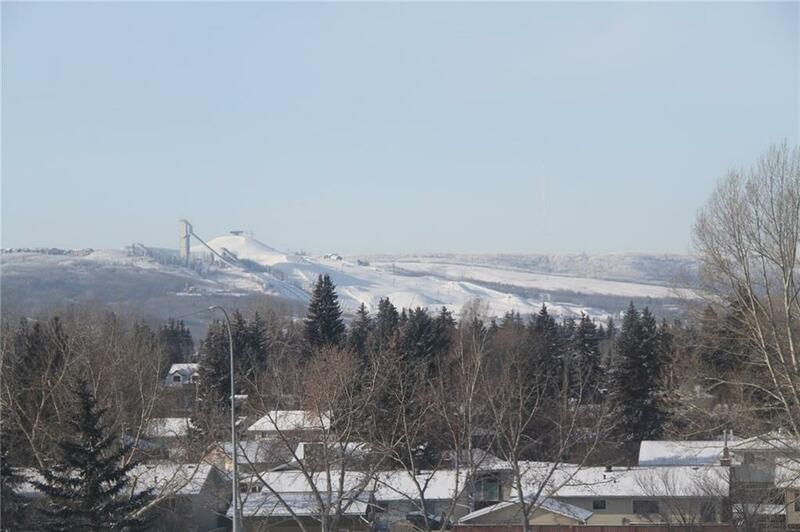 Prime location close to bus stops & LRT, shopping, Foothills Medical Centre & Children's Hospital, UofC & more!